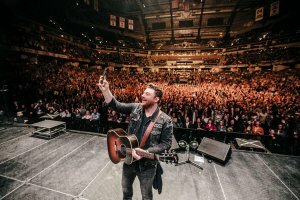 Following his induction into the Grand Ole Opry and the release of his acclaimed seventh album, Losing Sleep, 2017 was undoubtedly a career-defining year for platinum-selling entertainer Chris Young. After a tremendous response to the initial winter run of his Chris Young Losing Sleep 2018 World Tour, Chris has added 9 more shows. He will visit Lubbock, TX on September 14 at United Supermarkets Arena. Special guests Kane Brown and Morgan Evans will join him for the added dates. Tickets can be purchased at selectaseatlubbock.com, 806.770.2000, and area Select-A-Seat Outlets.